It is the holy month of Ramadan here and among the glitter and glam of the city, there is a feeling of peace and tranquility. I am so glad we are being able to experience the culture, wonderful hospitality and the amazing food. The Iftar experiences have been truly heart warming and special. 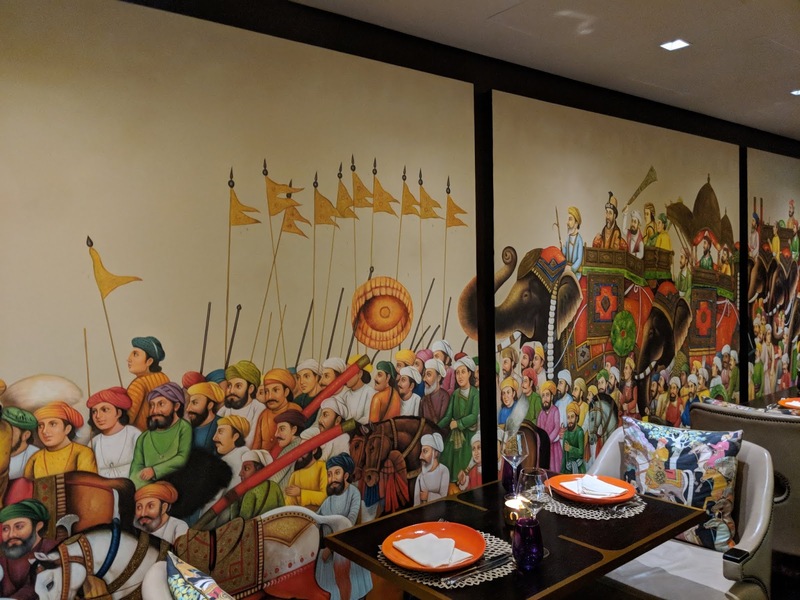 Our first Iftar experience was @bombaybrasseriedubai@tajdubai and what a lovely experience it was. The photos don’t do justice to the food. I wanted to eat as soon as the food arrived so didn’t spend too much time taking photos. 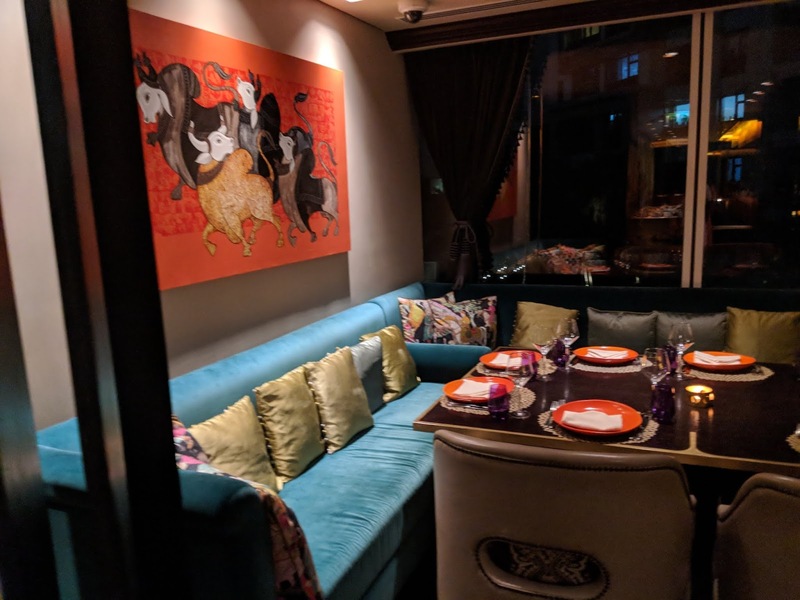 The ambiance was beautiful and the service was impeccable. 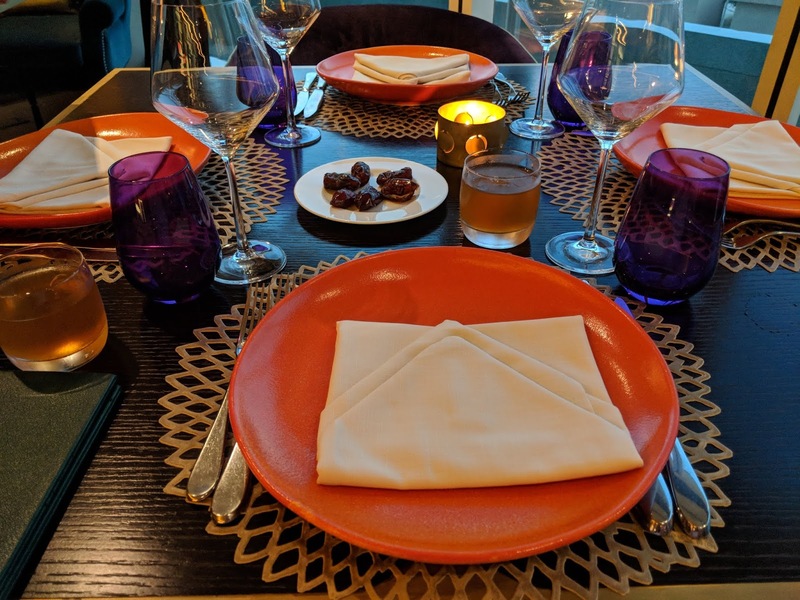 We got a warm welcome and were seated overlooking the Burj Khalifa (and could also see our apartment :)) with some beautiful table setting. We started with some dates and a date drink which was so good – we loved it! The starters was a mix of veg and non veg platter. 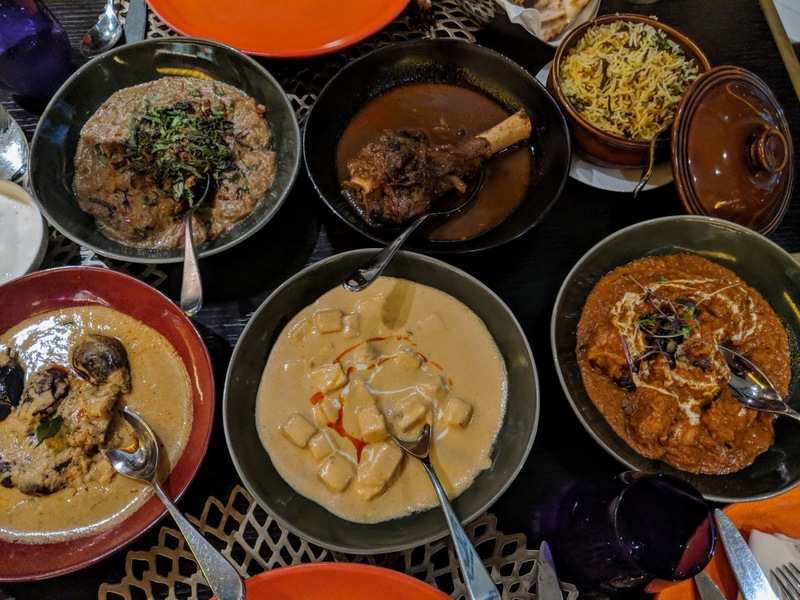 Chicken tikka, fish tikka, lamb kebabs, paya (lamb broth) in the non veg and sweet bread, Dahi Bhujiya (fried lentil dumplings in yoghurt) with sweet and spicy chutneys, onion pakoras and chilli pakoras (battered and fried). 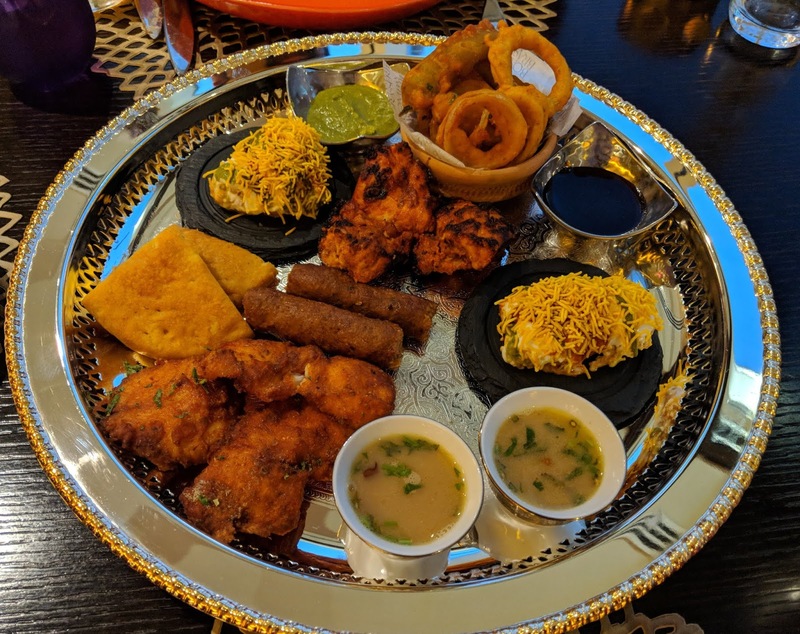 I loved everything on the platter and could have eaten more but the main course was yet to come so we refrained from ordering more. We ordered some fruit for the little one and the staff was very sweet to get a variety of chopped fruits for her. When the main course arrived we were speechless – the variety of food and the aroma got us really excited. Haleem – This minced lamb dish was cooked to perfection. We absolutely loved this. Lamb shank – This was perfectly braised and the curry was delicious. Egg plant curry – I am not a massive fan of eggplant but this creamy curry had lovely balanced flavours. Creamy Paneer curry – This was a little sweet for my taste but it was good nonetheless. Chicken curry – The pieces were perfectly cooked in a flavourful gravy. The dum biriyani – This tasted as good as it looked – beautiful flavours and tender meat pieces. Flatbread to soak in the lovely curry. 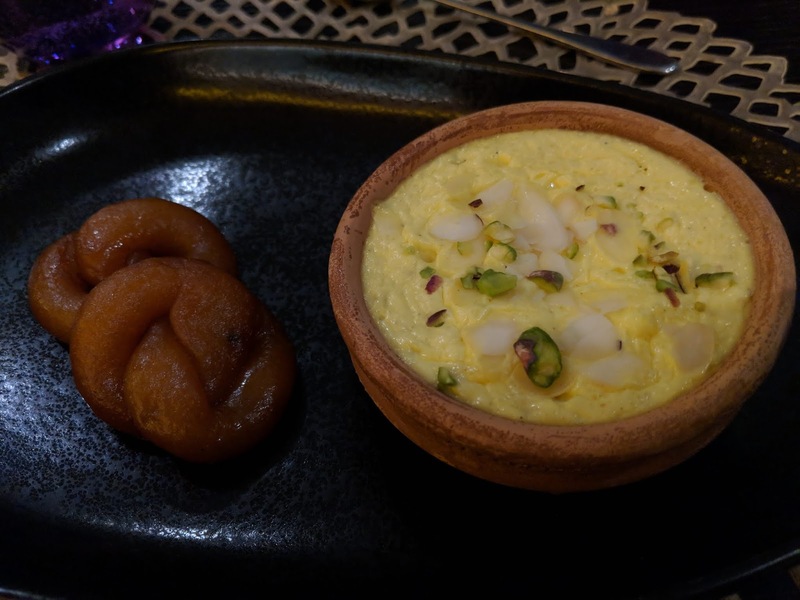 The Dessert was a firni and a sweet dumpling which I think was a gulaab jamun. This was a little too sweet for me but it was a nice finish to the meal. The staff very sweetly got some icecream for the little one too. Everyone was so warm, courteous and friendly towards us and the little one. They played with her and catered to her needs and made us feel at home. Absolutely loved the experience. This is a must visit place!